My mom and sister are Gluten Intolerant. Whenever my mom eats gluten, she feels it the next day. Her entire body hurts. Sometimes, she is told something is gluten free, but finds out the next day that it wasn’t. On Nima’s site, they say 1 out of 3 “Gluten-Free” foods, actually contain gluten! So people who have to be gluten free, stear clear of so much, just in case. But now, thanks to this Nima Sensor, mom can try all types of food with a peace of mind. The Nima Sensor is easy to use. Just put a bit of the food inside a test capsule, and put it in the sensor…within just 3 minutes, it will tell you if there is gluten in the food. Easy! The Nima Sensor can fit in your purse or pocket. And you'll get 3 free test capsules with your Nima Sensor purchase. There’s also a Nima app (for iPhones and Androids) where people can share their findings of all types of packaged or restaurant food, so you can know without using one of your test capsules. You can even try Nima with a 60-day money back guarantee if you don’t love it. Eat more foods with a peace of mind knowing that they are truly gluten-free, with the Nima Sensor! I am so excited to include Rodan + Fields to our gift guide this year! I have heard so many awesome things about this company and their skincare line, and am so excited to try them out. They have a regimen for every type of skin. Their top 4 lines are for Redefine, Reverse, Unblemish, and Soothe. I personally have terrible lines on my forehead…hello, 30! And am starting to see lines around my eyes and mouth as well. So Redefine is a great start for people who can relate to me...Goodbye Fine lines and wrinkles! For those who have problems with blemishes, you’ll want to check out the Unblemish line for acne. The Reverse line is great for those with any “skin discoloration concerns—from dullness to stubborn dark marks and age spots”, and Soothe is for those with sensitive skin. You’d think all these products would be enough for one company, but Rodan + Fields does not stop there. They have lots of “extras” that will help your skin look younger and more vibrant. Like their Lip Renew Serum, or their Bright Eye Complex…and their Micro-Dermabrasion Paste, or Micro-Exfoliating Roller. Then they have their awesome Lash Boost, which helps your eyelashes grow longer and more voluminous. If you haven’t seen before and after shots after use of this product, check them out, they’ll make you a believer! Throw in the Active Hydration Serum, and you won't have to worry anymore about dry skin. Definitely a must for all year 'round, but this winter is a must! If you are having any skin problems, or you just need a boost for brighter and younger looking skin, check out what Rodan + Fields can do for you! With the 5 of us sisters, we are so excited to check out all of their products! We are all about anything that helps make cleaning your home easier. And that’s exactly why we’ve added EyeVac to our list. EyeVac is a vacuum that eliminates a dust pan! No more bending over, trying to sweep every last bit up. This device will vacuum up whatever you sweep in front of it. You can keep it on automatic, where it will start to vacuum as soon as you sweep stuff in front of it, or switch to manual mode, where you can let it know when to start working. This EyeVac is completely bagless, and comes in 2 colors; black and white. It has a very modern design, so will look cool in any room you put it in. It has an easy removal and easy cleaning too. Hammacher Schlemmer is at it again with the coolest gifts of the season! We found this awesome Hand Reflexology Massager, that would be an awesome gift for anyone who may need a little extra relaxation. Not only is it a hand massager, that will massage both the palm and top of your hands, but it also works with your reflexes and pressure points that can help relieve all kinds of pain in the hands. If you know anyone with arthritis, hand pain, or someone who works a lot with their hands all day, this is the perfect gift for them! It has 4 pressure settings, so it can give a comfortable massage at any pressure they may want. It can run off 4 AA batteries, (which are included…thanks Hammacher! ), or plugged in to an A/C outlet. It's nice to have the flexibility. With just a touch of a button, it can start giving you a spa like hand massage. You can choose between 5, 10, or 15 minute massages at a time. And you can even add heat for comfort and better circulation. You mean we can have a hand massage every day?! Sign us up! Ready to get rid of those stretch marks? Don't want to do laser or invasive treatments? Check out this Silicone Fusion Technology Kit. It's called Clarafuse, and it is a "patch" made of silicone, that helps reduce the appearance of stretch marks, scars, and lines. And they are so easy to use. Just place one on a "problem area" you may have, and let them get to work. When the silicone is "placed on the skin, a micro-climate is created between the skin and the silicone that helps the skin heal itself". They are in the shape of a heart that makes it easy to fit almost anywhere on the body. Each Clarafuse can be used up to 30 times. There is a 3-step formula to purify, repair, and nourish, and you can get them all in the Silicone Fusion Treatment Kits. They also have a product for fine lines and wrinkles! You can use these on your forehead, around your eyes, mouth, and on your neck too. No worrying about getting injections, going under the knife, etc. And, they have a 60-day money-back guarantee, so you can try, risk-free! I can't wait to try ours out! We have so many pictures on our computers and phones, that it’s time to get some of those pictures up on our walls! Photography.com makes it easy to get your pictures up on a wall in no time. You can put your photos on a canvas, on wood, glass, metal…you can get them framed, gallery wrapped, with a chalkboard, on a plaque…the options are endless. 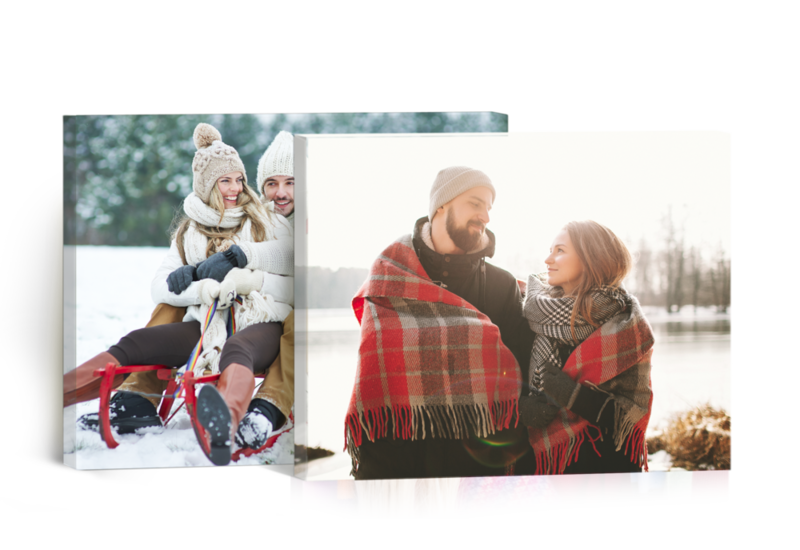 We personally love our photos on canvas, so we took advantage of this amazing deal… Photography.com has a HUGE sale of buy one get THREE FREE Canvases! No, that’s not a typo! You can get a package of 4 canvases for just the price of 1! Need a last minute gift, or don’t know which photos they might want on canvas? You can just buy the e-voucher and it never expires. It's so easy to design the look you want on their website. Simply upload your photo, choose which style or material you would like to order, and you can edit from there. You can zoom in, crop, and position the photo exactly how you want it. It's worth a practice run just to see how your photos will turn out. You definitely can't beat this deal, and you get 4 for the price of 1 PLUS free shipping! Offer expires 12/31/17, so grab it now! The Split-Ender is something all of us girls have wanted to try for a while now. We all go back and forth, but currently, all 5 of us girls have long hair. Most of us are trying to grow it out even longer, so sometimes heading to those hair appointments can seem worthless. I'll sit in the chair and say "I'd like a trim, but can you cut off the least amount possible? Just the damaged ends?" Split-Ender is a Split-End Trimmer, that will safely cut your split ends and dead ends in minutes. The Split-Ender can even help save you money, since you can go longer between hair appointments. It's a cordless device that looks like a straight/curling iron, and you use it pretty much the same way. It snips the ends, and not the length. No more trying to pick out each split end with a pair of scissors, Split-Ender does the job for you. They even have 2 different kinds. The Split-Ender PRO 2 has trims of 1/4” of the ends…and the Split Ender PRO is the professional version, where you can change from 1/4” to 1/8” trims! You can get either with an American or European Cord too. Each one comes with a charger, a cleaner, and a carrying bag too. No more heading to the salon for a quick trim, you can save money and do it yourself with the Split Ender! New cookware is never a bad idea for a present. We found this awesome set from Pfaltzgraff and their Sabatier line. These Rust Resistant Cast Iron Set is perfect for “searing, sautéing, browning and frying.” It’s safe for any stove top or oven, and can help her complete the perfect meal. This 5 piece set comes with an 8 inch fry pan, 10 inch fry pan, 10 inch square grill/griddle and a 5-1/2 quart dutch oven with lid…so pretty much all she needs. They also have add-ons like the Maison Round Grill Pan and the Rectangular Grill Press. The quality is great, and they’re heavy duty, so will last a while in this household. When I first started blogging, I went from barely any screen time to over 12 hours a day. I was on the computer so much, and my eye sight started deteriorating. I had perfect vision before, and just a couple months after being on the computer so much, I had to go get glasses. Pixel Eyewear is working on helping solve that problem, and giving your eyes protection from your screens. These glasses can help protect your eyes from the blue light that is emitted from your computers, tablets, phones, etc. It helps protect your vision and can also help you sleep better at night. They come in very stylish colors and frames, and you can even get them in readers too. Protect your loved ones eyes with these important glasses. Really wish I had these a year ago when I started so much screen time! These are the coolest things ever, and everyone who goes grocery shopping should have them! First off, where we live, in California, you have to pay 10 cents per grocery bag now, and if you have a large family like ours, it really adds up each trip. We're glad they got rid of the plastic bags, but even if you don't have to pay for grocery bags, you can help the environment and bring your own. This Lotus Trolley Bag set is perfect for your grocery shopping day. You carry the sling in, strap it to the cart, grab your groceries and head to the line. After you check out, you can neatly pack your food into each of these bags. This set comes with 4 bags...one is a deep cooler bag for all your cold stuff, and one has a holder for your eggs and wine. The rods "are designed to fit most standard U.S. grocery carts including Target & Walmart." These bags are designed to be sturdy and are made of quality materials with high-end stitching. Make your grocery shopping a breeze with these Lotus Trolley Bags. Want to see a video of how they work? Click here. 'Tis the season for Hot Chocolate, Latte's, and cappuccinos. With this Capresso Froth Control, you can "create rich, frothy hot cocoa using chocolate chips, chunks, syrup or powder." You can have cafe quality frothed milk to add to all your delicious hot drinks this season. It has a simple one button control, with 4 settings: cold froth, hot froth, hot milk or hot chocolate. Stores in the bottom of the base are two frothing disks and one heating disk. The hot chocolate setting allows for you to add chocolate chips, or chocolate chunks directly into the pitcher to make delicious hot chocolate. It's large enough to froth 10 oz or heat 14 oz. And the pitcher is dish washer safe, for easy cleaning. It also comes with a few recipes, so you can get to making your favorite drinks in no time! We ran into a company called Woodworker's Hardware, and absolutely fell in love with their wooden pantry pull out units. "You mean, we can pull out all the shelves to our pantry and be able to see and reach ALL of the food in there?" Say no more, we were sold! We got this one for my mom, and our pantry is the best it has ever been. We cannot say enough good things about how awesome it is! We ended up doing both doors, so now we have 2 pull-out units. It makes finding food so easy, and we don't waste anymore, because we forget what is in there. Woodworker's Hardware has so many great shelving units, organizers for your cupboards, etc. 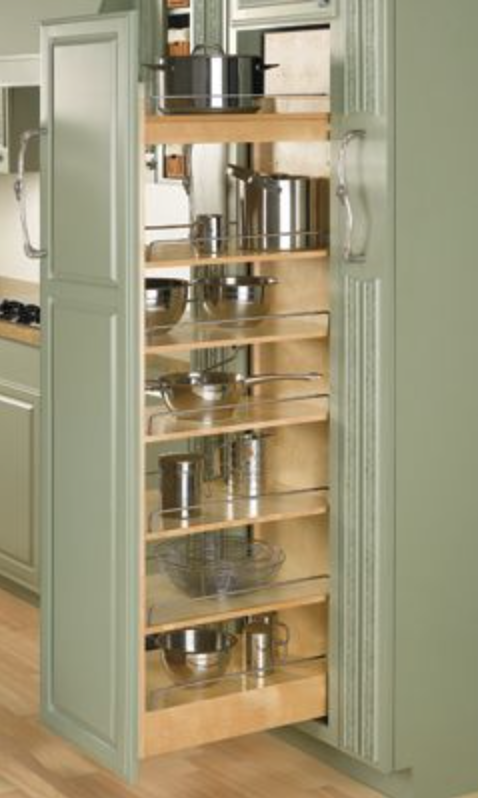 Check them out to see what you may need to update your kitchen, and turn it into a reality. VegaLash is a lengthening serum that will give you voluminous lashes. Use VegaLash twice a day, in the morning and at night, for best results. VegaLash is a "hormone free, latex-free, hypoallergenic serum", and is "comprised of a natural vegan formula for safe and effective results." The KOR SmartToilet and it is a "flush valve replacement kit that eliminate 95% of odor in seconds." Less oder in the bathroom is always a great thing. It has a Dual Flush Option as well, where you can do a half flush, or a full flush, so you can control your water usage. See why we love them, here! The girls love their coffee...but I personally love my tea. And this Capresso Iced Tea Maker is great for brewing the perfect tea every time. This Ice Tea Maker is super easy to use, and can brew tea from loose leaf, or tea bags. This Tea Maker can brew 2.5 quarts of tea at a time. You can adjust the brew strength just by moving the flavor enhancer.